Few weeks ago, Globe TATTOO launched its brand-new Prepaid LTE (Long Term Evolution) devices/service at the most affordable prices in the market today. 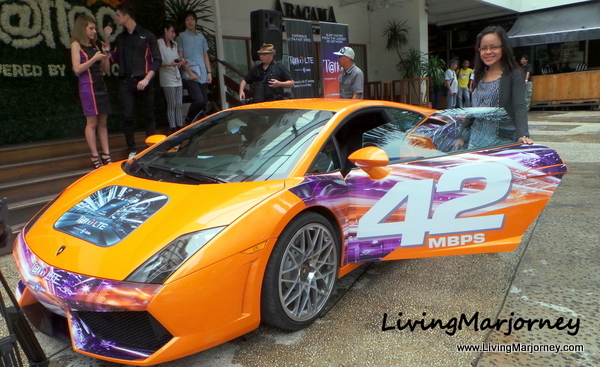 Outside Aracama, we were greeted with luxury sports cars such as the Lamborghini with Globe Tattoo 42 MBPS posted on its sides. 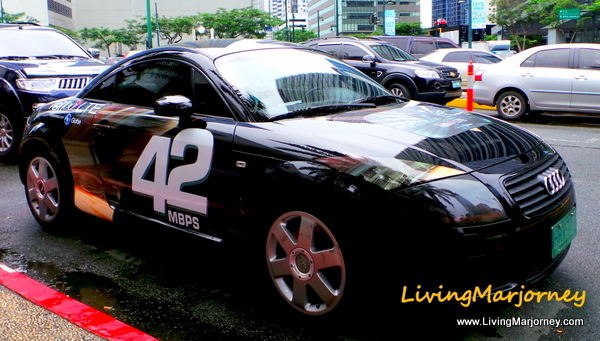 Just like these sports cars, the new Tattoo Prepaid LTE promises powerful performance and high-speed internet connection and browsing LTE speeds up to 42MBPS. The LTE mobile Wi-Fi device (P4,995) can share internet connection up to 10 devices at and doubles as a power bank with 3,000 mAh that can charge compatible phones and tablets through a cable that comes with the WiFi device. LTE stick priced at P3,995. Both devices come with free 5 GB worth of data valid for 7 days allowing users to stream videos, upload photos, play games and apps, and browse through social networking sites in lightning speeds. Afterwards, subscribers can continue the LTE experience with standard browsing charges of P5 for 15 minutes or through surfing deals like the new MAXSURF. MAXSURF is Tattoo’s volume-based offer that gives subscribers bulk megabytes (MB) of surfing, only using up the kilobytes loaded for each webpage regardless of how long subscribers stay on the page, allowing them to extend their surfing days. Makati City, Pasig City, Quezon City, Taguig City, Manila, Muntinlupa, Mandaluyong, San Juan and Las Piñas. The Globe LTE infrastructure has also expanded to key areas in Metro Cebu and Metro Davao as well as in the provinces of Bohol, Batangas, Negros Occidental, La Union, Rizal, Aklan, Laguna, Bulacan, Nueva Ecija, Nueva Vizcaya, Cavite, Cagayan, Pangasinan, Isabela, Ilocos, Quirino, Tarlac and in Boracay, Aklan. These prepaid LTE allows customers to experience the best internet technology made more accessible and affordable. 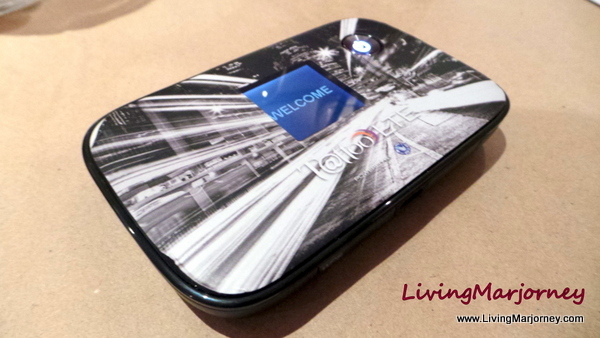 Tattoo’s LTE devices sport an edgy and sleek new image. They are designed by Kenneth Cobonpue, the Filipino design maven known for his talent worldwide.